A Connect Transit bus stop near the agency's headquarters on Wylie Drive in Normal. The Connect Transit Board of Trustees and staff. 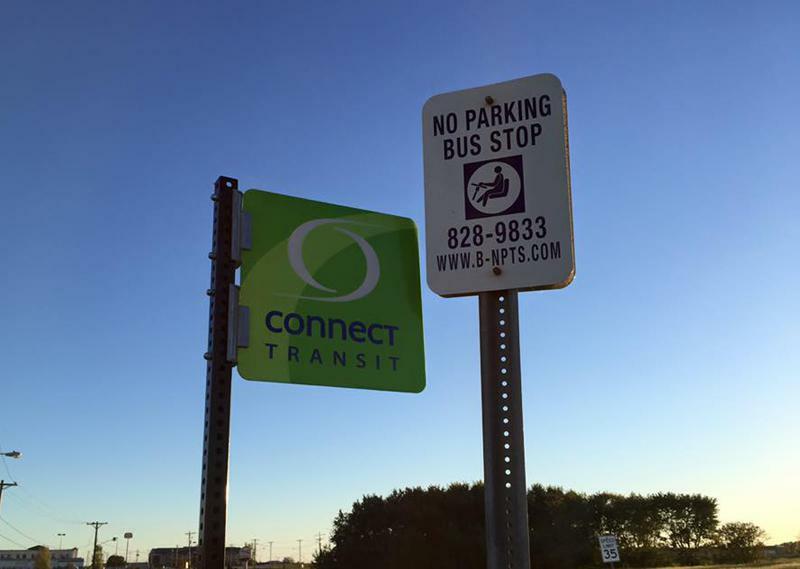 A six-month pilot project that will test limited bus service in northern Normal and southwestern Bloomington was approved by the Connect Transit Board of Trustees. The plan is to provide morning and afternoon service in those areas beginning in mid-August. Those areas would have been cut off by the route restructure slated for the fall. General Manager Andrew Johnson said the transit system used surveys from riders to figure out what times to run the routes. "What we did was, then, got input from the community, from the people that were being affected by this, and were able to refine exactly when they wanted to ride," he said. 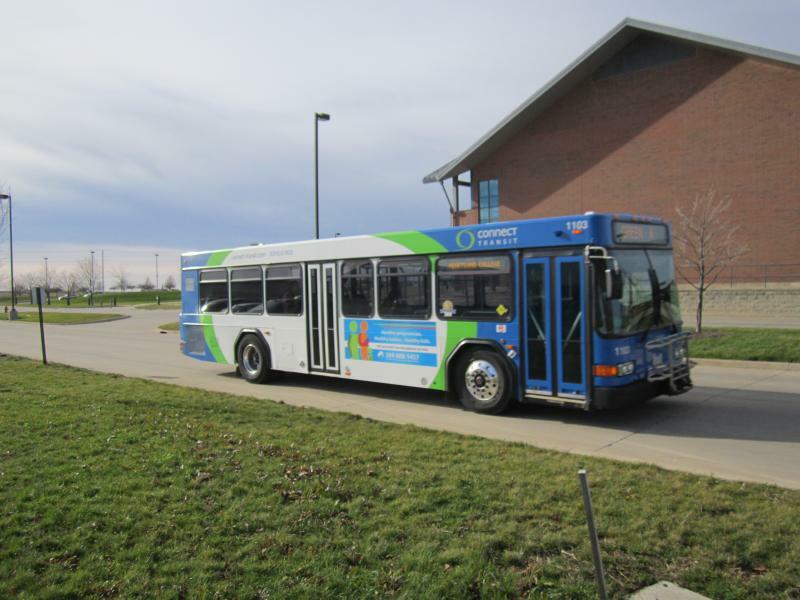 The service will start along with the new routes and schedules in the fall, but Johnson said it's unclear what will happen once the evaluation period is up. "It's kind of new territory for us. 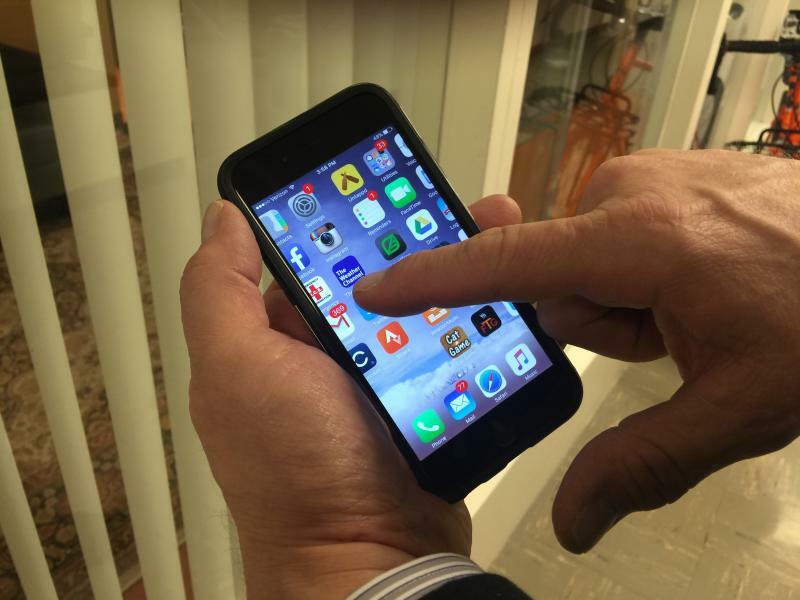 The 6-month mark doesn't mean that we'll drop the service or something like that," he said, "It just means at six months we're going to bring it back to the board and decide where we want to go from here." The pilot project will cost $40,000 for the first six months. Connect Transit is asking for feedback on a proposal that would provide limited service to people that will be cut off when new routes and schedules are put in place this August. The plan would provide morning and afternoon service during peak times in northern Normal and southwestern Bloomington. Connect Transit is continuing to make adjustments to its proposed bus route plan. The new change in the plan will keep a stop in front of Phoenix Towers. The green bus will no longer stop near Chestnut and Center streets, so the vehicle no longer has to get across two lanes of traffic in a single block. The blue route will be extended down Chestnut to Locust, and will also stop at Phoenix Towers. That was a stop that was formerly made by the purple bus. Connect Transit indicates more shifts in the proposed route overhaul are probably coming.